It's always a toss-up when booking a hostel online, I mean there are pictures and reviews, but you never know until you arrive, bags in hand, fingers crossed, what it's really going to be like. 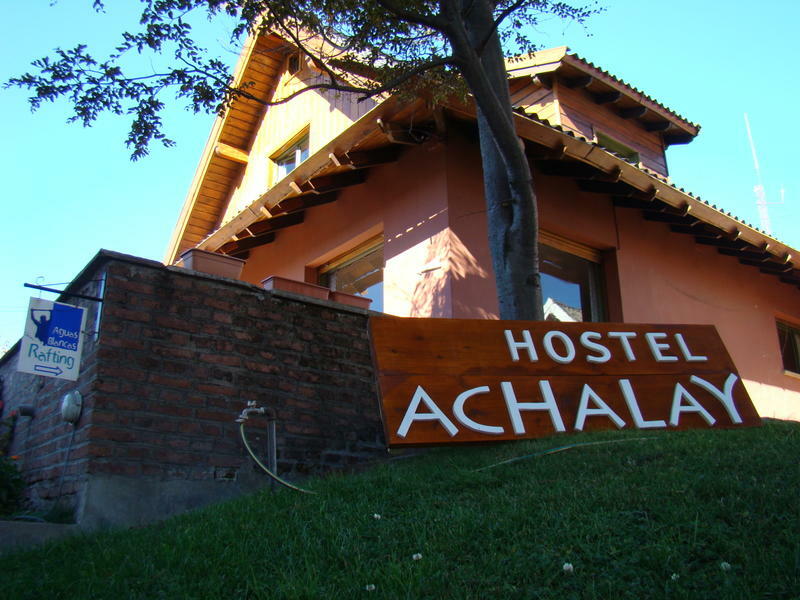 ﻿﻿﻿﻿﻿﻿﻿﻿﻿﻿I wanted to highlight Hostel Achalay in Bariloche because it exceeded all our expectations and was an incredible three-day home. We found Hostel Achalay on Hostelworld.com, but they have their own site too which is also helpful. Going solely off what we saw online and traveler reviews, we booked our stay and hoped for the best. Well, we got it, and strongly recommend that anyone traveling to Bariloche should check this place out. Pablo and the staff: Most of the staff members spoke both English and Spanish and were always available to help if we needed anything. From getting more cereal, to fixing a curtain rod, to figuring out WIFI, everything was handled quickly and with a great attitude. Free travel advice and planning: In addition to running the hostel, they offer free, full service travel booking and advice. The day we arrived they gave us a handful of maps and showed us the best places to eat, drink, get chocolate and visit in downtown Bariloche. Pablo then walked us through another map and highlighted the best hiking, biking and trekking trails. They also completely booked our friends multi-day trip down Ruta 40 to Ushuaia; busses, hostels, excursions and all...for free. Spontaneous jam sessions: Pablo on harmonica and staff member, Diego on guitar, they rocked the common room and filled the place with such a warm, convivial vibe. Everyone was into the music and feeling good...I liked it so much I even filmed their performance! Location: Hostel Achalay is located in the perfect spot. Literally two blocks from a great brew pub and delicious lunch and dinner spots, three blocks from the centro civico bus stop and main street in downtown, and four blocks from lake Nahuel Huapi. Also it's really close to the grocery store and verduleria which was great for getting day-trip supplies and stuff to cook at the hostel. Great atmosphere: The vibe was fun, but relaxed, definitely not a crazy, party hostel at all. We appreciated this very much since we actually got good sleep and were rested for our long days outdoors. We met great people from all over the world who ranged in age from 20-60 and were super friendly. Everyone seemed of the same mindset: have fun, go with the flow, learn from each other and travel the world. Parillas and mate: On weekends they host homemade parillas for really cheap (around $ 9 AR) and every night at least one of the staff members makes mate to share with anyone in the common room or kitchen. Proper beds: super comfortable mattress with clean duvet covers and fluffy pillows. Clean facilities: The bathrooms, kitchen and common areas were thoroughly cleaned on a regular basis, as were the rooms and outdoor patio. It never felt dirty or dorm-like which, as a girl, I was very thankful for! Strong WIFI: Once we got the password, we were able to use our laptops everywhere, even in our rooms. They have a desktop in the common room though for travelers without their own computer. Breakfast: Served at any time!! It was simple but plenty: coffee, mate, fresh rolls, jams, cereal and fruit.